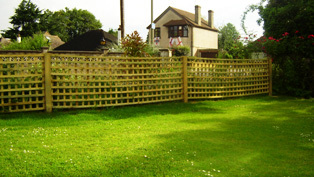 Our client in Staines wanted a boundary fence. He wanted to create a boundary whilst keeping the gardens open. We came up with the idea of using hand built, heavy-duty trellis.